Admissions Open at National Institute of Cardiovascular Diseases's Karachi Campus for the batch Fall 2018. NICVD offers admissions in different fields of study for Postgraduate. you can apply for , , . 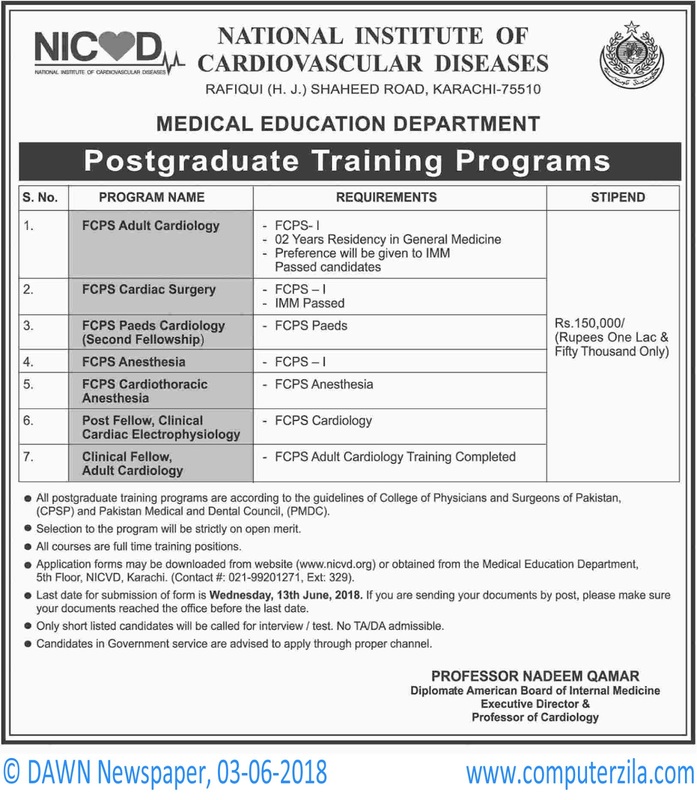 All postgraduate training programs are according to the guidelines of College of Physicians and Surgeons of Pakistan.